Französisches Gericht erklärt Racial Profiling für legal! | ISD-Bund e.V. Französisches Gericht erklärt Racial Profiling für legal! Entgegen sämtlicher europäischer Bestimmungen gegen Diskriminierung und zahlreicher Studien erklärte am 2.10.2014 ein Pariser Gericht das die gezielten Kontrollen Schwarzer Menschen bzw. People of Color legetim sind. Abgewiesen wurde eine Sammelklage von 13 Betroffenen die wiederholt von der Pariser Polizei kontrolliert wurden. 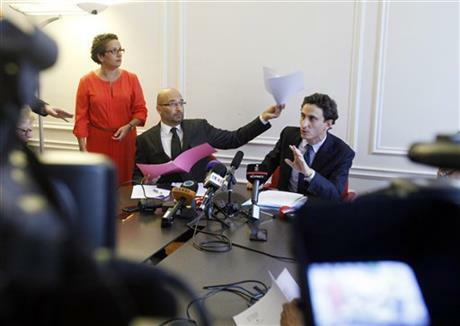 PARIS (AP) — A French court on Wednesday rejected claims that police identity checks on 13 people from minority groups were racist, saying officers didn’t overstep any legal boundaries. The decision upended an unusual bid to rein in law enforcement officers often accused of racial profiling. The verdict followed a one-day trial in July billed as the first of its kind in France, and a sign that long-silent minorities are increasingly finding their voice. Lawyers for the plaintiffs pledged to appeal — up to the European Court of Human Rights if need be. The French ruling comes amid a public furor over stop and frisk policies of the New York Police Department. But in that case, being closely watched here, a judge has ruled against NYPD practices said to discriminate against blacks and Hispanics.